Again only nine people this week. We seem to be having trouble making it into double figures recently. I have my fingers crossed for next week! Johnny started off with another game of Betrayal at House on the Hill which seems to have become a bit of an IpBoG staple recently. I was playing Machi Koro at the time and Demtri turned up unexpectedly at our table. It turns out he was the betrayer but even he was no match for those meddling kids and was defeated before he got his evil way. 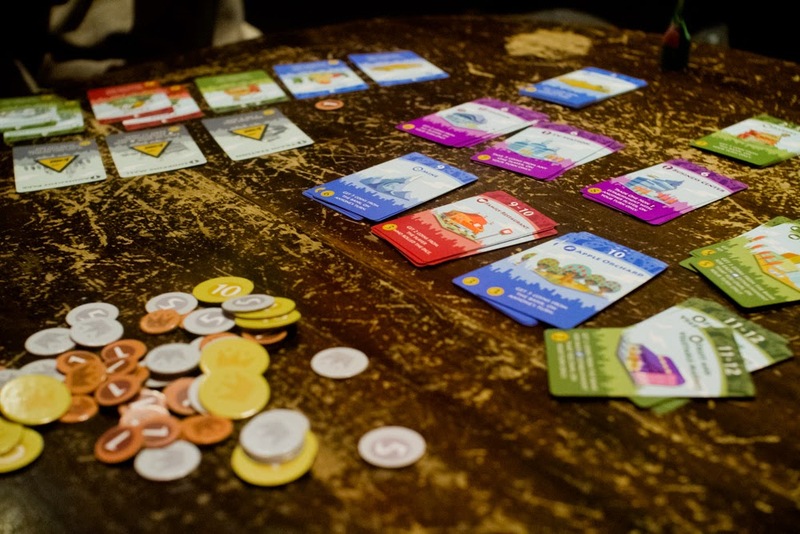 Machi Koro is a game of tableau building and dice throwing. It's pretty luck based but still pretty fun. I usually do pretty bad at it but I won for the first time. Maybe there is some skill involved after all! After Machi Koro we played Yardmaster Express, a little fifteen minute card game of making trains. It's pretty simple but pretty fun. Maybe even more pretty fun than Machi Koro. Afterwards I played Pandemic while the others played 221b Baker Street. 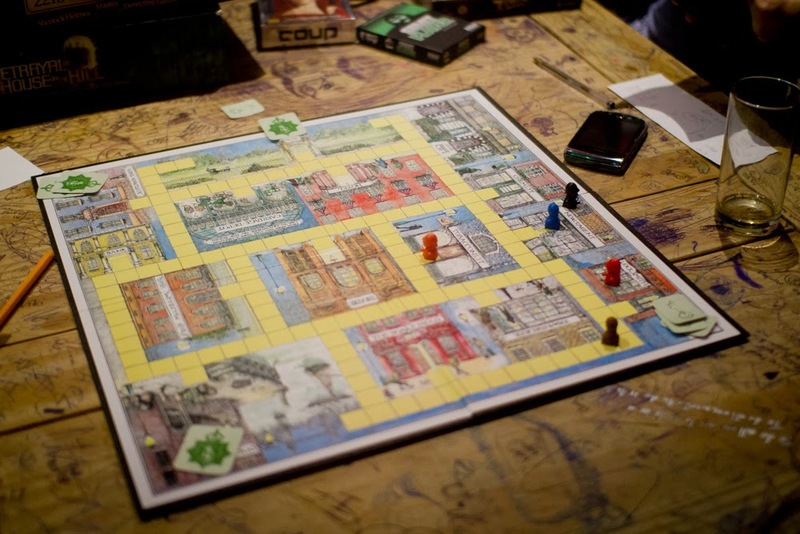 221b Baker Street is a Sherlock Home themed deduction game. From what I understand it involves finding and solving crossword style clues and Dan used his awesome crossword solving skills to win. Pandemic was a strange one. The starting diseases were all clustered in one area. I still don't know if this was a good or bad thing. Towards the end it looked like we were going to make it but then we realised we were going to run out of player cards. But then even before that we had a couple of chained outbreaks and the outbreak limit was reached. Afterwards we played Machi Koro again. Philip had gone strong on red and purple cards allowing him to take money off other players. This ended up working well for him with the other players unable to get a decent amount of money and him quickly getting enough to build all landmarks, winning the game.